The Networking Industry has CHANGED a ton the last decade… and it’s going to change a lot more this next decade… and you had better learn how to CHANGE with it – or die ! You need to read this Book: - BEFORE you Launch your NEW Company… - BEFORE you Re-Build your existing Operation… - or BEFORE you make one more IMPORTANT DECISION…… - the very existence of your Company could depend on reading this ! - What is the Average “Fall-Out Ratio” for a Direct Sales Operation of your category/type…? - What is the Average “Activity-Ratio” for your type of Company…? - How many Distributor’s does a Co have to run through their computer in order to gross $1M/month… ? - What should your average company product/service mark-up be in order to pay-out 45% to the field? - How many Customer Service Staff do you need for the size of the Sales Force…? - How many Conf Calls where made, and how many prospects witnessed your preso this week ? - How many auto-responder emails went out and how many prospects were “closed”? - What ___% of your Member/Client’s use your online web features: daily/weekly/monthly/never …? - How many Companies, just like yours, witness “RAIDER’s” trying to steal their sales force…? - Do you have a plan in the event 1/3 of your Top Leaders LEAVE your company…? - What _% of your rep’s are using: 3-way, Conf Calls, Webinars, Auto-Responders, + to build Co Sales ? - Do you perform “marketing research” BEFORE you make important decisions, or you don’t TEST ? - What is the Average MLM Company Total Investment in order to reach $1M/month in Sales…? - Have you actually analyzed, “studied”, researched your Industry, BEFORE you launched or made edits? 2- what issues hold a company back, preventing the operation from GROWING..
· Wouldn’t you like to know the “real insider stories” behind the Success’s and Failure of thousands of Direct Sales Companies ? ! It would be extremely helpful if you got the “hard-facts” from the actual people who knew what went on “inside” an NWM operation, that looked pretty strong in the beginning, and then blew-up without a trace... you could have learned some important info had you have been the “fly on the wall” watching how everything went-down, DK was that fly ! · Wouldn’t it give you more confidence if you knew what the “silent killers” were that slowly eat-up a company from the inside-out... nobody knew that there was an UNSEEN PROBLEM that was brewing and slowly” destroying the finances of each members future... and this damage could have been AVOIDED! · Wouldn’t it be great if you could learn from the historical reflections, and insider knowledge shared by 500 + NWM owners, founders & executives... - their administrative staff... - all the vendors who supplied/serviced these co’s.... - as well as top distributors who built the companies sales force... what if ALL these leaders could give YOU their insights, thoughts, suggestions with their RARE insider information on why NWM operations Succeeded or Failed? - as well as the average representative’s working in the field. ALL these people saw the: rise/fall - success/failure – good/bad sides of the industry as a whole, from many different advantage-point / angles. And this provides for some very accurate conclusion’s herein. ... This book started as a hobby… and transformed over-time, into the POWERFUL Historical Insight Information you will find herein. Most of DK’s data was gleaned from companies that failed… from distributor’s and executives who lost their businesses... this is just the nature of the Industry as a whole. This has become a rare look at some of the most back-room… secret insider statistics ever accumulated/assembled. Information that many other company Leader/Owners/Exec’s, (like you), would love to know. – are we right !? - of course we are… read on. Mr. Klaybor had/has an odd habit of Researching/Analyzing/Studying Direct Sale Companies Operations… he picked-up a routine of evaluating a Firm’s Complete Structure/Design every time he ran into any operation… he investigates the pro’s/con’s of each comp plan… enjoys talking to each Companies vendor/suppliers… DK listened to the Companies distr.’s regarding the good, the bad and the ugly things they encountered (from their field perspective)…. DK witnessed what happened after Company Executives edited/modified their Companies direction… DK listened to the Administrator’s “insider reflections” of all the stuff that went on from their unique perspective… ( from creation/inception/before they launched… - to the initial growth phase… - and after the momentum either: never came, rocketed skyward, perhaps slowed down - reversed or stopped all together. POWERFUL LEADERSHIP MIND STIMULATION ! · Categories with the strongest performance will include: Health and Wellness will remain STRONG the next decade, with a majority of the sales dollars under this class… while Technology, Telecom and other Web-Based Mall-type Operations will be solid performer’s in an operation that is run RIGHT, with the good financial backing these types of operations require… these firms will comprise about 30% + of the industry… while the remaining tiny piece of the pie will be allocated/comprised of maybe 3-5% crazy products/services that confound rational predictions by defying logic … about the same % will be from some un-seen / super-amazing product/service that dazzles the public and rises to the forefront ! · Industry Growth: The Direct Sales/NWMing/MLM/Party-Plan Industries will collectively grow about 8-12% this decade… most of it International Growth. · The popularity of PERSONALITY COLOR-TYPE Training will become a much bigger part of the industry… as more and more Successful Distributor’s start accrediting much of their progress to knowing someone’s COLOR TYPE … you need to learn more about this if you want to double sales revenues ! · A Movie will be made about Network Marketing.., it will gain popularity in Magazine/eZines… mlm’s reputation gets better this next decade ! · Industry in Peril: Warning: a challenge to the very existence of the NWMing Industry will crop up from a Government Agency toward the end of this decade… unless the Industry Bands Together to fight as a Team… the Industry could suffer a great set-back (but never go away)… be sure to join the DSA, MLMIA and other groups that support our Industry. Get to know other OWNERS and Top Leaders as a hobby… it will pay-off in great dividends one day ! · But do not forget that 1 to 1.5 Companies will fail each day on an annual basis… this means that 96.5% of all mlm operations will fail within 3 years… and that means YOU have less than 4% odd’s to survive… and less than 1% will thrive ! … and only about 3-5 companies per decade will ever reach the huge sales levels $10M-$15M-$30M /month Gross Revenue… these odds are small. So you’re operation will be very successful if it ever attained $1.5M/mo within 3yrs… if you can achieve 5k-10k rep’s your first 18 months, praise the Lord, you’re odds of survival have done up 69% ! A rule of thumb would be to increase sales by about $1M/mo every 18-24 months – this is a VERY COMPLICATED formula… by most executives OVER PREDICT their sales on 99% of the Business Plans I read. Get DK on “Retainer” asap to dramatically increase the odds of your succeeding. · Most MLM executives make 3-5 HUGE mistakes embedded within their overall Company Design… avoiding these mistakes oftentimes determines the inevitable life/death of the company 6-9-12 months before these flaws surface, (like a growing cancer that surfaces one day… while if was growing for years… ), NEGATIVE DESIGN FLAW ISSUES can kill more “Successful Companies” than any other challenge’s… not the FDA, not the FTC, not the press… it’s an ENGINEERING PROBLEM woven into the fabric of the operation during it’s inception that destroys the “good ones”. This problem is tasteless, odorless and invisible to the un-trained eye… Acquire someone who have the expertise and VISION to see the invisible killer that may be lurking within your midst ! · REMIND YOURSELF each morning when you go into the office: that 90% of your “worthwhile”, active, auto-ship distributor workforce members will be tempted to LEAVE YOUR COMPANY at least once every few weeks … so, like your spouse, you had better treat the people closest to you, with RESPECT monthly... or they will find a new LOVE somewhere else. There is very little loyalty in business… the Grass IS always Greener on the other side of the Fence ! · In a new company, with many veteran mlm leaders joining your operation.. the activity-rate will initially be very high, 70% to 99% for months… but these financial numbers will DROP-OFF by the end of the 12 month cycle, to values below 70% … and these numbers will KEEP DRIFTING DOWN month-after-month (yr/yr), over time, until they flatten out around 30% (or even less in poorly run companies), within 2-3-4-5-6/yrs… all-depending on a ton of “factors”… it’s a complicated see-saw formula, some figures going up, while others are drifting down… but these are the general stat’s to take to the bank ! This factor alone accounts for many owners thinking they will be achieving higher projected sales figures than they will actually glean… so talk to DK about all this so you “get-it”. · 60% of the mlm veterans expect some kind of “special deal”... the more experienced, older and more successful the veteran is/was, the more they expect some kind of “incentive” package in the recruitment process... (60% will receive some kind of sign-on bonus “offer” 2-3 x’s a year... i.e. stock, conf. calls, extra comm %, free samples, airline tickets, co-op advertising, leased car, rented office, etc. Your relationship needs to overcome this urge every time it happens ! · under duress, 30%, a minority of your distributors will follow the company executives, while the majority (70%) of your field, will follow the direction of your Top Distr’s... your control/influence is “limited”, no matter how much the field seems to admire the exec’s during the course of normal business… so, if the Top Leaders are loyal to the owners… then things will remain solid/stable. Your goal is to stay in a rock-solid relationship with your leaders. · And know that, know matter what a Top Distributor tells an owner… they are loyal only so long as their income continues to grow… they maintain friendships and have conversations with other leaders who are bent on STEALING them away from your operation… ask DK how to maintain a healthy relationship with your Field Leaders… because if 1-2 big-ones leave, they usually withdrawal about 30% of your monthly sales volume on average and take it with them (could be more…) And applying controlling policy rules/restriction’s, is rarely the right solution ! Constant respectful communication, with an open-door/open-minded policy is the answer. · although 80% of your distr.’s log-onto the web to review/search/email information, only a small group, 15-20% actively attempt to use the internet to prospect for distr.’s to sponsor or retail product... these members say they thought their online system would work, but after reflection, realized that only a 1% minority of distr’s could ever succeed at earning big money using the web... the web is NOT your solution… it is just another tool… be sure your distributor’s get trained on the basic fundamental’s on how to grow a Downline the “old-school way”. 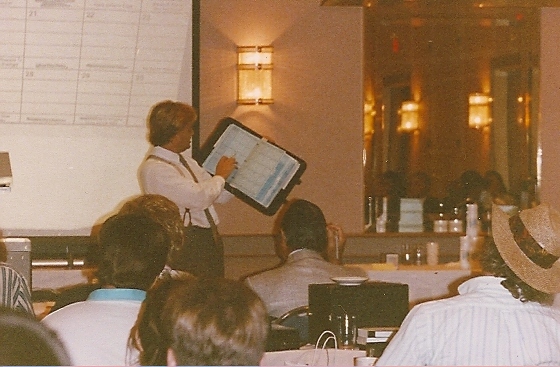 · For most of the last 7 decades, mlm distr.’s primarily used home-party demonstration’s and belly-to-belly presentations… then flip-charts, hotel meetings and fax machine’s… then they passed-out vhs/cassette tapes… and now the web is used more-and-more to primarily transfer the Storyline Preso-information... - your Training Systems need to teach your members how to use email and auto-responder type systems to spread-the-word! DVD’s, CD’s, email, and various web technologies are: simple, affordable, fast, effective, duplicatable, and measurable ! But how many of your members used any of these tools this week… a tiny minority…. maybe 10-20% of your active members if you’re lucky. This number needs to be doubled/tripled… as DK to help you ! · 95% say they never made their (100-200 name) “prospecting list”... and fewer ever worked it properly... what does your operation do to improve this statistic… ? THIS IS THE CORNERSTONE of every serious distributors recruiting efforts. A professional NWMer uses their LSIT as the FOCAL POINT of their Business Building Efforts. A salesperson CAN NOT SUCCEED WITHOUT working their Prospect List ! And they also need a Continuous PIPELINE to keep feeding more and more leads into their Recruiting/Retailing System. · 85% of the distr.’s say they have very poor time management and organizational skills... rarely ever “prioritized to-do items”… and hated this kind of Success Principal anyway ! This is another HUGE REASON why most mlm co’s fail ! DK can help in all these areas ! · 80% did not want to talk to their “warm market”, they were afraid to talk to their friends, neighbors and family... and these same folks stated that they were afraid to BUY LEADS because they didn’t want to spend the money, nor did they feel qualified to CLOSE these prospects and convert them into CASH-FLOW…. · 70% of all distr.’s admitted that they did not have a business bank account set-up... and they added that they did NOT follow the simple IRS requirements to GAIN THE FANTASTIC Tax-Deduction Benefits mlmer’s can receive… and this is just sad. An average mlmer’s with a job is said to be able to benefit from a $5k to $10k/annual savings ! This is mega-powerful and super-worthwhile for every mlm company to support/promote/teach and make sure their distributors receive these incredible savings ! · 55% of your distributor’s said that they did not even have business cards or stationary...! You’re NOT in a Home-Based Business until you can hand someone your Business Card … it’s a “state of mind” that an Entrepreneur needs to be in… get your members behaving, acting, and actually doing what people with their own business DO ! How basic is this issue... it is no wonder so many mlm operations fail. They also need to advertise, buy shirts, car magnets, hats, pen give-away’s… you get the idea… marketing STUFF to expose to the world that they are indeed in business ! · if one of YOUR members was asked to rate/grade him/herself on their performance, ( if they had to “pitch me” right now in front of the seminar group on your product), how well would they say they would do...? Most individuals gave themselves a C or a D at best... this means that your distr.’s are going into the retail/recruiting “fight”, already believing that they’re going to LOSE that fight ! ... they are expecting to do a poor job and anticipate being rejected by their prospects... This is no way to grow your business ! This is NOT GOOD for you, them or the prospect ! · POOR CUSTOMER SERVICE … right or wrong – perception IS EVERYTHING… thus a whopping 65% of industry distr.’s said that their company staff and administration over-worked and to over-loaded to ever deal with their challenges effectively… the FIELD perceives the “company staff” as NOT getting back/or follow-through on promises made or help them with their problems, thoughts or concerns. The majority of the veteran field rep’s rated overall company service as fair/weak to poor... over a third said they had received awful/terrible service and were considering calling the BBB, Atty. General, or the FTC to get revenge for the co.’s lack of follow-up ! THIS IS NOT COOL for your company at all… because you see all the NEW rep’s that think you’re customer service is wonderful. MLM Owners need to deal with this issue BEFORE it gets out of hand. This is why sales slow down… this is another reason why co’s never reach their potential. · 35% of mlm veteran distributors said that there company had a tendency to “over-promise and under-deliver” on it’s commitments, promises and future programs... DK will tell you how to turn this around ! · 37% of the average/smaller rep’s said that they felt a bit over-looked and “ignored” by the executive’s… and that the company didn’t have a very good “communications system” in place relating to THEM and their issues... this is why many slow-down their recruiting/retailing efforts… and this accounts for another reason why most mlm firms never reach their potential. · yet only 10-25% of the active distr. force ever signed-up for the companies conventions, auto-responder systems, or voice mail systems... and of those who did register to pay for ANY sales-aid service’s offered, only a tiny minority ever used the system to communicate with their group, use it in their recruiting efforts or participate in co. sponsored voice mail activities... therefore DK concluded that unless a co. implements a very serious training program, it will only receive a fraction of the potential benefits afforded by the implementation of a any Business Building Tool System! · when put on the spot, 82% of most distr.’s could not clearly articulate and explain their NWM companies products/services… or describe the “USP’s” (unique selling perspectives) of the best-selling products. They also could NOT answer the all-important questions: “why me, why my company, and why now” presentations to their prospects. Most rep’s could NOT share with a prospect what features/benefits made their oppty: fresh, alive, new interesting, different and worthwhile to a prospect... Most Distributor’s also could not share with DK their all-important “personal testimonial story”. Bottom-line, 87%, the majority of accompanies Sales Force, have WEAK presentations – very POOR Skill Sets – a very weak ability to present your Opportunity and then RECRUIT a Prospect or MAKE the SALE ! · 80% of most distributor’s admit that they do not use conference call technology on a regular basis. They may have been exposed to it or even used it a handful of times… but few of your rep’s ever maximize this Business Building Tools potential in their lives. · fewer than 1% of all active company distr.’s ever attend the same co.’s convention more than once! THIS IS TERRIBLE. The majority of rep’s who attend your convention are usually NEWER to your firm and usually greener to the industry… with a minority of leaders “Shepparding” the rookies around the event. Most distr.’s are not planning on attending your major co. convention... they do not seem to understand the importance of establishing airline and hotel reservations 3-9 mo.’s in advance... and most people who did attend your companies regional/national convention in the past, say that they do not have the time or money to invest in another convention anymore... additionally -most people did not know what a travel itinerary was - nor did they know the value of creating one! · 95% of your active distr.’s polled, did not keep simple/basic IRS business records in order to maximize their tax benefits afforded them by the US Congress... virtually no one was using a real business planner type system to glean the $5000 to $10,000 worth of Small Business Owner Benefits afforded to them by the US Congress. This is just foolish. · DK is amused when an MLM Leader shares with him that they negotiating with some other companies Leaders to MOVE THEM over to “their opportunity”. They brag about some big-shots who are flying-in to tour their facilities and talk about potentially making a MIGRATION… first off… DK points out that he saw some of THEIR TOP LEADERS doing the EXACT SAME THING at ANOTHER MLM COMPANY last month. So RAIDING is going on back and forth every week… one company to the other… like the tides on the ocean, moving one giant Distributor-MASS from one beach to another. So don’t get relaxed, complacent or “comfortable” with your Sales Force… people are moving and being-moved in a constant state of flux. Distr’s are calling other distr.’s to get them to “move” from their NWM firm to another every hour of every day... What are you doing, how are you behaving, what are you saying to prevent your sales force from leaving your firm...? · Sometime in the a distributors relationship with your company… 30-40% of these rep’s say that they would purchase your company stock if they had been presented with the opportunity to do so… - And/or, rep’s want a bonus program in place, that enables them to earn EQUITY through their performance and productivity... make this happen ! · 80% of all veteran distr.’s say that they did not/will not USE the free benefit programs offered by the company… these include rep-benefit program’s like: eyewear, coupons, insurance, telecom, etc... Yet they’d all like to receive the “benefits” of the benefit program if they were REAL – attainable ?!... so this means that better training and better education is missing in order to make these programs work like the “Golden Handcuff’s” they were suppose to be ! · 95% of all active distr.’s, DID NOT ASK FOR… nor did they receive, any prospect “referrals” on a regular basis (2 referral’s a mo. or more). This is horrible ! This means the company and accountability systems are working poorly… and thus, the company is NOT gleaning the gross revenue’s they should be receiving. This also means that the fall-out ratio is HIGHER than it should be… the activity-ratio is LOWER than is suppose to be… and that the company is not as productive as it would be if this issue was addressed ! Hire DK to solve this problem asap ! · 68% of all veteran distr.’s think that the retail prices of the products they represent are a little over-priced, and have a bit less quality than the best possible non-mlm competitor... most think that the wholesale price is more inline with conventional products retail prices... thus – every effort should be made by an mlm owner to lower there prices as much as they can… the cost of the product as compared with it’s gross/wholesale price paid by a distributor, should be about 6-to-1 mark-up on the low-end. A company can live with this… but, a 10-to-1 mark-up is getting a bit greedy and pushing it… there are exceptions to every rule… but you get the long-term idea for survival. This is complicated issue.. discuss your exact situation with DK to design your course of action. Your Company Average mark-up should be about 6.6 to 1 in order to have a 45% Average Monthly Company Comp-Plan Payout formula that will keep you competitive on BOTH ENDS of running your business. Keep in mind your retail customer… your distributor earnings… your company earnings and the trends in the marketplace. · there are only between 125 - 275 top distributor’s world-wide earning a seven-figure/yr. income (must be at this level for at least 12-18 Mo.’s) ... divide that by 14 million and you’ll see how many top distributors there really are overall in the world. · your productive distributors and active leaders are being called at least 2-4 times a week on average, and they’re enticed to leave your firm for a competing firm! ... while .05% of the distributor force of a mature operation will earn $100k+ yr. not per mo! · the average distributor will only pitch 5-10 prospects before they quit, while active working distr.’s will only perform on average 20-30 preso’s yr.! Wasn’t this the most incredible data you’ve ever received ! Do not ignore these points & call DK for more. · 85% of mlm executives thought that they could advance, build and grow the company with the “positive cash flow” that was certain to fill their bank accounts after they launched ! This was based on their knowledge of a few Successful company’s they knew about who’s owners had started with under $100k seed capital. These same people later found out that launching a NWM company with less than a million dollars rarely works these days... thus, if you talk to any current/past owner… or any competent consultant… they will tell you that you need a lot more money than you think you need to survive, let alone “prosper”... heed this advice. (David has many creative ideas that will assist you in securing the necessary funds you’ll require to launch your unique company)... here is the rule: Your Capital requirements are in direct proportion on your ability to recruit large groups of rep’s. · 40% said that they designed a marketing plan that ended up paying “too little” money to their sales force... this left these operations struggling to survive as the company administration kept modifying the comp plan… and making it a confusing/cimplicated MESS… very hard to promote, teach and understand. This is what you find in most mlm companies ! Getting it right the 1st time is Golden. Conversely, if you over-correct and then start paying a little too much to the field... you will discover another hard mlm principal: “you can never take any money away from your sales force once you’ve given it too them”, if you do, it’s the kiss of death! · 85% of these owners stated that they had to make changes to their comp plans at least 2 times a year... many made even more! An operation can get away with this a few times and gain some momentum (if they’re adding cash to distr. income)... but leading distributors are smarter today then they were 10-5- even just 3 years ago… so each time you have to edit your comp plan… it disrupts your business more than you know. It erodes your credibility, breaks down confidence, diminishes loyalty and after too many changes… it’s just like pulling the parking break on while the car is driving down the highway. NOT GOOD. · 80% of the owners admitted many years down-the-line… that sometimes they never really understood the reason why company revenue’s increased… or why sales fell-off. It’s like the industry has a FICKLE mind of it’s own. You take intelligent actions you feel “have to boost sales”… and they don’t. And then you do something silly, and sales go up the next month ! · 80% never realized that their distributor kits were rarely read, rarely internalized, rarely used… and thus were basically worthless in helping their distributor’s retail, sponsor and train... a futile waste of time, money and effort. This condition can be REVERSED and improved for FREE ! · If you get an owner to sit down with you many years after they launched… they will admit to you that for most of the beginning years… they never really knew much of anything about the “health” of their most important asset - the sales force! · They never got back into the trenches with the troops to do all the things the field does… i.e they rarely ever went out and sponsored someone to see what the field is going through… they never read the training manual or kit materials to see how relevant they were 2-3years later… they forgot to get their hands dirty and get out and participate in all the distributor activities… to see their company through the rep’s eyes once in awhile. · most executives said that they did not know how many 3-way calls were made in any given week… or to whom... - or how many oppty. preso’s were given… how many samples were given away… or how many referrals were received by his companies distributors in any given month... in other words… they got to involved in all the back-office stuff and stopped focusing on what goes on in the real world. The moral is… do what you did, that got you were you are… and you will continue growing. Do not get into the “management rut role” ! We could go on for another 100 pages… but you have read enough to give you the PROPER PERSPECTIVE of who you are, where you are.. .why you’re company is performing the way it is… and tons of steps you can initiate THIS WEEK to improve your operation. Why not contact Captain Dave and talk about all this… it’s worth MILLIONS in increased gross sales to you if you DO ! Send DK your insider story… the lessons that you learned… he will add your lesson’s to this manual.